This was my first ever Roccabox and initially my first reaction was that I love the design of the sleek white box! Six products were included in this month’s box, one was full size. The Ellis Faas concealer. This brand was new to me, but I actually needed a new concealer so I was excited to try! Upon researching this brand, I saw that they are campaigning for WarChild ‘Makeup not war’. How cute are their t-shirts?! The concealer is liquid, with a brush applicator. It went on smoothly and blended well into my skin tone, despite being initially too dark. Only a small amount of product was needed, so I’m hoping this will last! The design is flawless, like, I’ve never seen anything like it! It feels high quality and luxurious just to hold. Any Soap and Glory product that I’ve used previously has smelt great and worked well. This dry shampoo (UK subscribers only) was no different. It smelt amazing and came in a handy handbag size. During the summer months, there seems to be an influx of oil products. Burt’s Bees included a travel sized sample of their cleansing oil. I was intrigued that it was specially for cleansing, rather than moisturising. It includes argan oils and is designed for normal to dry skin, so, I know that it must have moisturising properties too. 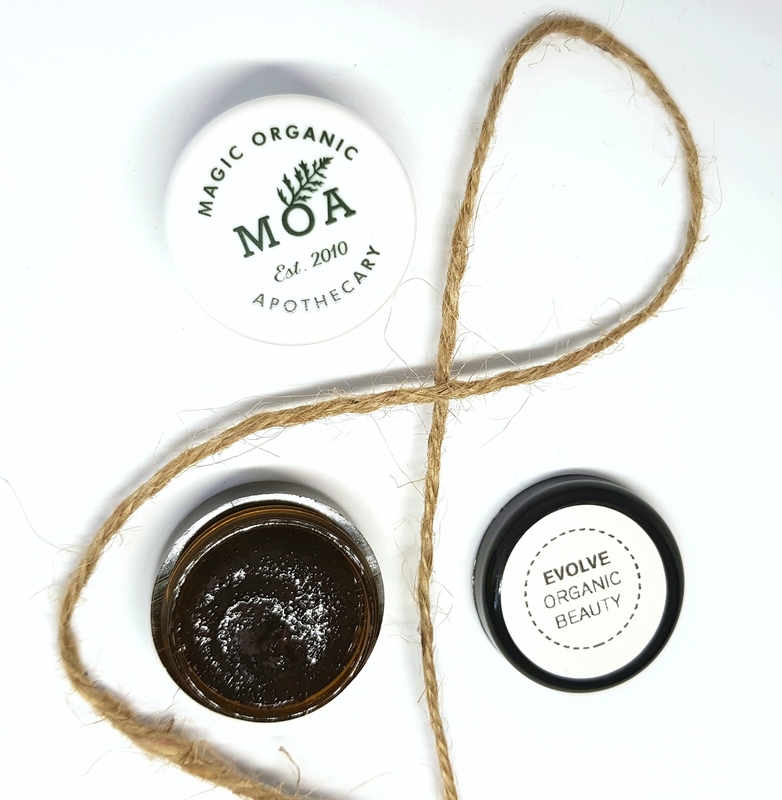 Two additional products that were new to me, were from Magic Organic Apothecary and Evolve Organic Beauty. I love smaller known brands, especially if they’re products I haven’t tried before. Evolve Organic supplied a beauty mask, it has quite a strong smell, but once you get past this it doesn’t need a thick layer and washes off easily. 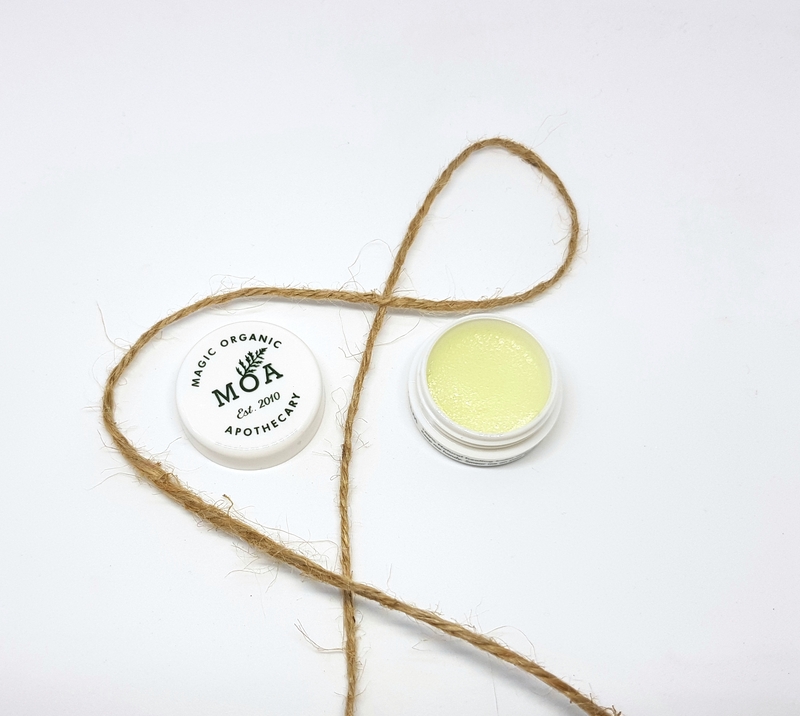 MOA have given a wonder balm that even promises to have healing qualities! Great for chapped lips and mosquito bites this summer! Finally, a brand I have used before, but not specifically this product, was from BalanceMe. A well known, natural skincare brand. This 7ml sample of congested skin serum really did help to unblock my pores! It was easy to apply in a thin layer and was absorbed quickly. I look forward to trying this longer term, if these are the results after just a couple of uses! Overall, I loved the samples in this box. There was makeup and skincare products to try. I usually prefer more full sized items, but, I was pleased that the concealer (my favourite product) was the full sized item. Additionally, they usually only send 5 items, so the sixth was a bonus! I’ll have to wait and see what august has in-store!